Main Reasons Outsourcing Projects Fail | Quality House Ltd.
To know what to do, one must always learn from past mistakes – preferably the mistakes of others, not yours. The Failure Stories Are Many, but What Stands Out? The dark statistics show that 50% of the outsourced projects either fail outright or just fail to meet the expectations. 76% of the companies reported issues with the management effort on behalf of the vendor and hidden costs. 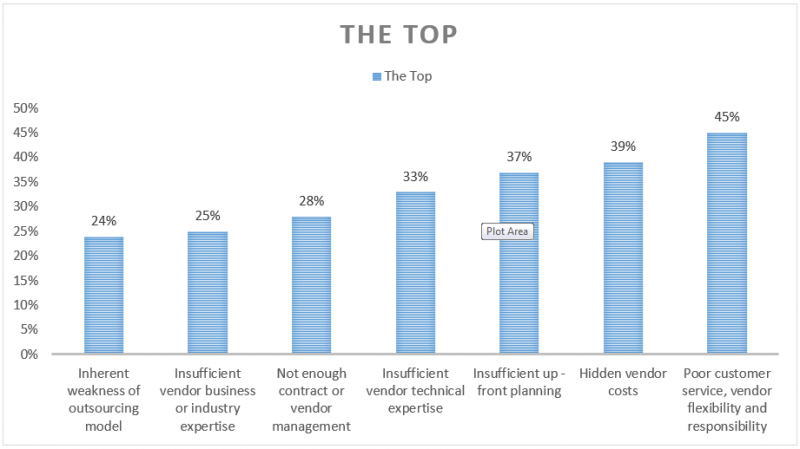 30% reported communication problems within the vendor and 51% were unhappy with the performance. All in all, the cost savings amount to 26% - only 26%. The 4 billion US dollars deal between the US Navy and the global services provider EDS stands out as one of the most horrific. It started in 2003 when the Plano, Texas, vendor beat out the likes of IBM and Accenture for the contract. The deal was to manage voice, video, networking, training, and desktops for 350 000 Navy and Marine Corps users. But just one year later, EDS was writing off close to 350 million US dollars due to its inability to come even close to fulfilling its obligations. The reasons behind the failure are quite complex, but suffice it to say that one of the major causes was that the vendor – EDS, perhaps eager to win the prize, never realized that the Navy and Marine Corps had tens of thousands of legacy and custom applications for which it was expected to either integrate or rip and replace. An EDS spokesperson said that at that time the company’s goal was to get the number of legacy apps down to a mere 10 000 to 12 000. While there is plenty of blame to go around at EDS, the Navy took its share of blame as well. One of the issues with the Navy was that the buck stopped nowhere. There was no single person or entity that could help the vendor determine what legacy applications were needed and what applications could be excised. EDS, for example, found 11 different label – making applications, but there was no one who could say which 10 to eliminate. Another,well-remembered story is the one told by Steve Martin, a consultant and partner at Pace Harmon, a company that is often called in to help fix outsourcing deals gone bad, recalls the giant telecommunications company headed for disaster: it never considered the fact that although its new offshore provider, though good at coding, did not understand the business side of telecommunications. The outsourcing project was initially divided into two phases. In phase one, all the internally managed operations were moved to an outsourced service provider (in this case, based in the US). The idea was to test and stabilize the outsourcing approach with a local provider first, before taking the even riskier step of moving the application development offshore. But what happened after the first phase that went fairly well? The telecom initiated the second one – phase two, shifting the effort to India. That did not proceed so smoothly. The Indian provider simply did not understand the telecom business, so lost in the transitions halfway around the globe was all the telecom’s inherent knowledge of the business applications – what it is supposed to do, how and why. Martin recalls that all that knowledge just got left in the US. As the Indian company did not understand what was going on, it took much longer to develop the applications – even the simple ones. And, in the end, they did not work well, resulting in even more time and effort to figure out where they went wrong and searching for a solution of how to fix them. In time, it got so bad that the telecom canceled the outsourcing midway and brought the effort back home. Of course, there were lingering problems to resolve as how to handle the disputes over tens of millions of dollars in service credits the telecom believed it was due from the Indian outsourcer. In return the Indian company argued that it delivered exactly what has been asked to. The two companies decided to avoid the court as they did not want the story to go public and lose reputation and settled the disputes over the money privately. The outcome? The telecom learned the hard way that there is more to a deal than signing the contract. In the original deal, pricing took precedence over every other consideration because the executives wanted to show that they saved millions of dollars. Shortchanged in the process were the details of the transition, the development processes, and the management. Adequate thought was not given to the obligations of the people who were responsible for executing the transition. We know that the primary reason to outsource is the cost – savings – that goes for 82% of the US companies. But the story of the telecom just shows how important the expertise and management are. On the other hand, there are many success stories and some of the most popular applications have been developed while being outsourced. Have you ever heard or somewhere read that Slack, Fab, Skype, Klout, Github, AppSumo and Branchout started as outsourced projects? To the list we can add the MYSQL, AlertBoot, SeatGeek and Squawker. Cannot forget to mention also JPay.com, Splunk, Opera and Pingar, as well as, Axeda, Solix, Cloudmunch, Gliffy, Net2Text and Proximate Global Inc., Mailburn and Mindspark. These are only 25 examples of the many successful outsourced projects. 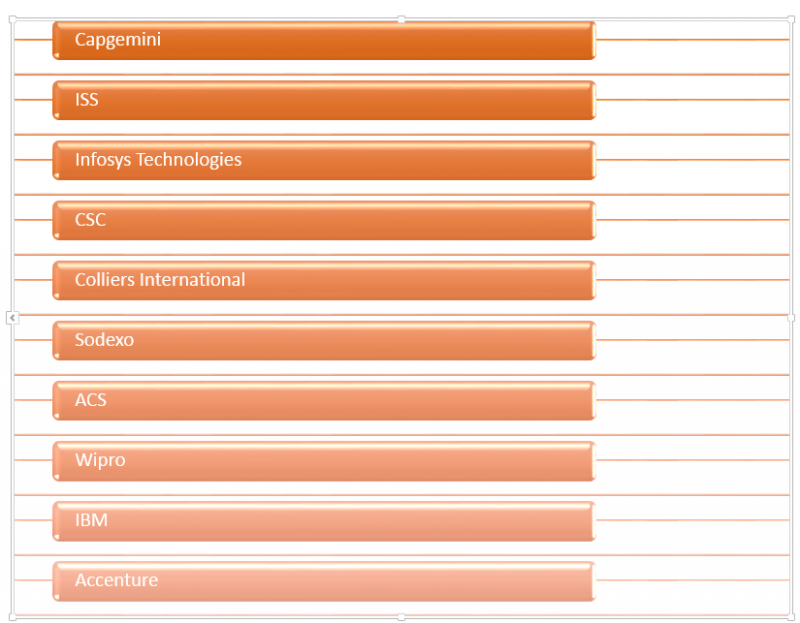 The biggest outsourcing vendors, not surprisingly at all, are IBM and ACCENTURE. Look forward to our next article getting into details about future trends in outsourcing.